Available in six or ten bushel capacity to meet all your spreading requirements. 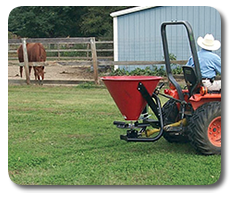 Cone shaped hopper provides easy material flow, making any seeding job easier. View our literature.